Financial Excellence. The Budget & Research Department is committed to maintaining a fiscally sound and sustainable financial plan and budget that reflects community values and resident priorities. 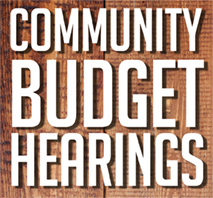 There are 19 Community Budget Hearings scheduled for the 2019-20 Trial Budget. Download a PDF with the list of dates, times, and locations, or explore the map to find a location. Use the Playlist menu (upper left corner of video) to watch a specific Budget Hearing video. Expand community engagement effort to involve and educate the public on the budget process. Continue to improve economic forecasting by consulting with UofA which coordinates the State Forecasting Project. August-February: Revenue and expenditure estimates are updated. April: Public budget hearings are held and input is provided to Council. May: City Manager's Budget presented and Council provides policy guidance. June: Tentative and Final budgets are presented to Council and the 5-year Capital Improvement Program is adopted. July: Council adopts the property tax rates and property tax levies specified in the budget. 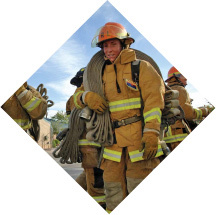 Learn how City operations are funded and how tax dollars are spent. 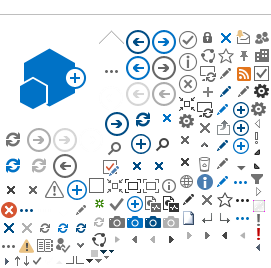 Explore all the City programs and services. Budget Adoption: City Manager’s 2019-20 Proposed Budget https://www.phoenix.gov/calendar/budget/2437 Budget Adoption: City Manager’s 2019-20 Proposed Budget City Council Chambers, 200 W. Jefferson St. 5/7/2019 9:30:00 PM 5/8/2019 12:00:00 AM GP0|#b8191dab-1b37-4552-a2cc-bb0cb05f34f5;L0|#0b8191dab-1b37-4552-a2cc-bb0cb05f34f5|Budget ＆ Research;GTSet|#517b07ab-dd83-4937-994c-c703834583f1;GPP|#c91454cd-5b28-4d66-bc01-17d32298aa9b ​City Manager’s 2019-20 Proposed Budget City Council Policy Sessions are conducted in the City Council Chambers, 200 W. Jefferson St. Live coverage and videos of the City Council meetings are cablecast on Phoenix Channel 11 and online at ​www.phoenix.gov/phxtvView the City Council Meetings page on the Thursday prior to the Council meeting after 500 P.M. to view the report in the agenda packet. 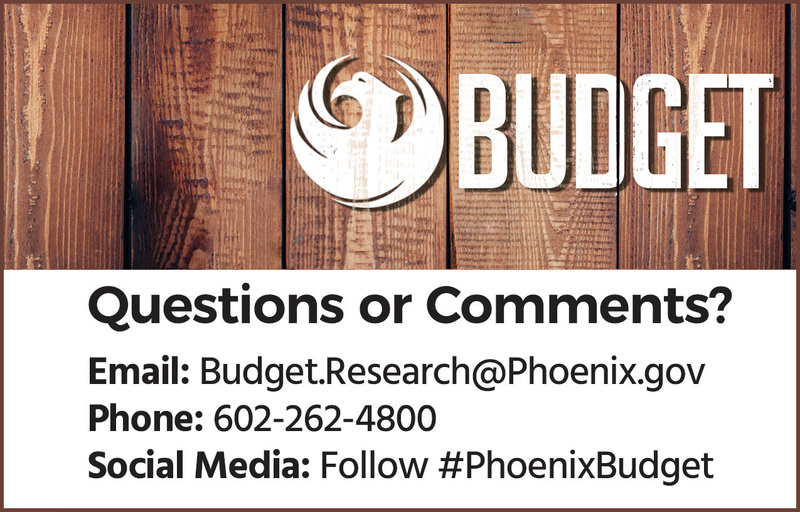 For more information, please visit the Budget and Research Department's website at www.phoenix.gov/budget Questions or comments on the budget can be submitted on the online form, by email at budget.research@phoenix.gov, or by phone at 602-262-4800., TTY dial 7-1-1. The meeting end time is estimated. Council Decision on the 2019-20 Budget https://www.phoenix.gov/calendar/budget/2438 Council Decision on the 2019-20 Budget City Council Chambers, 200 W. Jefferson St. 5/22/2019 9:30:00 PM 5/23/2019 12:00:00 AM GP0|#b8191dab-1b37-4552-a2cc-bb0cb05f34f5;L0|#0b8191dab-1b37-4552-a2cc-bb0cb05f34f5|Budget ＆ Research;GTSet|#517b07ab-dd83-4937-994c-c703834583f1;GPP|#c91454cd-5b28-4d66-bc01-17d32298aa9b The Council Decision on the 2019-20 Trial Budget is scheduled to be presented to the City Council on Wednesday, May 22, 2019. The City Council Report is scheduled to be available by the evening of May 17, 2019, on the City Council Meeting website under the May 22 meeting under the following link https//www.phoenix.gov/cityclerk/publicmeetings/city-council-meetingsCity Council Policy Sessions are conducted in the City Council Chambers, 200 W. Jefferson St. Live coverage and videos of the City Council meetings are cablecast on Phoenix Channel 11 and online at ​www.phoenix.gov/phxtv For more information, alternative formats of the proposed budget, or reasonable accommodations, please complete the online form at https//www.phoenix.gov/budget/contact-us, email budget.research@phoenix.gov or call 602-262-4800, TTY please use 7 - 1 - 1. The meeting end time is estimated. 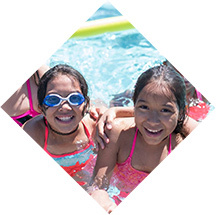 Budget Adoption: 2019-20 Tentative Budget Ordinance Adoption https://www.phoenix.gov/calendar/budget/2439 Budget Adoption: 2019-20 Tentative Budget Ordinance Adoption City Council Chambers, 200 W. Jefferson St. 6/5/2019 9:30:00 PM 6/6/2019 12:00:00 AM GP0|#b8191dab-1b37-4552-a2cc-bb0cb05f34f5;L0|#0b8191dab-1b37-4552-a2cc-bb0cb05f34f5|Budget ＆ Research;GTSet|#517b07ab-dd83-4937-994c-c703834583f1;GPP|#c91454cd-5b28-4d66-bc01-17d32298aa9b ​2019-20 Tentative Budget Ordinance Adoption City Council Formal Sessions are conducted in the City Council Chambers, 200 W. Jefferson St. Live gavel-to-gavel coverage and videos of the City Council meetings are cablecast on Phoenix Channel 11 and online at ​phoenix.gov/phxtv The agenda and packet will be posted at https//www.phoenix.gov/cityclerk/publicmeetings/city-council-meetingson the Thursday night prior to the meeting date. For more info, please visit phoenix.gov/budget The meeting end time is an approximate end time. Learn how the budget is prepared annually and how to get involved in the budget process.